Here is a great free book!! Its available via PDF download in the attachments section below! THANKS to Zappos and Seth Godin for passing on some free knowledge!! Now, more than ever, we need a different way of thinking, a useful way to focus and the energy to turn the game around. I hope a new ebook I've organized will get you started on that path. It took months, but I think you'll find it worth the effort. (Downloadhere). Here are more than seventy big thinkers, each sharing an idea for you to think about as we head into the new year. From bestselling author Elizabeth Gilbert to brilliant tech thinker Kevin Kelly, from publisher Tim O'Reilly to radio host Dave Ramsey, there are some important people riffing about important ideas here. 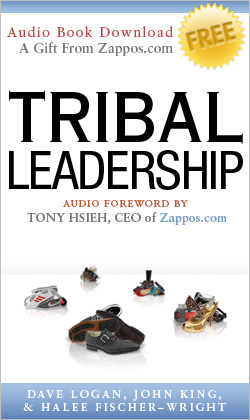 The ebook includes Tom Peters, Fred Wilson, Jackie Huba and Jason Fried, along with Gina Trapani, Bill Taylor and Alan Webber. and is the founder of Squidoo.com, a fast-growing recommendation website. You can read his wikipedia bio, reviews of his seminars and what Google thinks of him. Author of ten books that have been bestsellers around the world and changed the way people think about marketing, change and work. His books have been translated into more than 20 languages, and his ebooks are among the most popular ever published. He is responsible for many words in the marketer's vocabulary, including permission marketing, ideaviruses, purple cows, the dip and sneezers. His irrepressible speaking style and no-holds-barred blog have helped him create a large following around the world. Time 1: 9:00am ET / 8:00am CT / 7:00am MT / 6:00am PT. Time 2: 12:00pm ET / 11:00am CT / 10:00am MT / 9:00am PT. **Choose the “Accept and Use” button at the bottom of the first screen for quickest login. You do not need to type anything in the “Entry Code (if required)” field on the next page. Attendees should print the attached RF workbook prior to the meeting for reference during the webcast. You must click on this link to check your system to make sure it is ready to use Office Live Meeting. If you still cannot enter the meeting, contact support. Note that this webcast is limited to 1,250 attendees per meeting. Office Live Meeting can be used to record meetings. By participating in this meeting, you agree that your communications may be monitored or recorded at any time during the meeting.